on 05/01/2019 from 4:30 p.m. to 4:30 p.m. 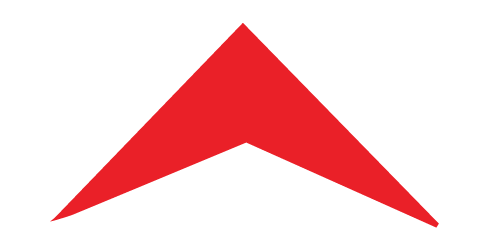 Posters must be on a standard 22-inch by 28-inch poster board. The words “Monmouth County” must appear at the top of the poster in 4-inch letters with black marker. The student’s name, teacher’s name and school must be printed neatly in the lower right-hand corner on the back of the poster. Posters must be mailed or delivered to the Monmouth County Surrogate’s Office at the Hall of Records, 1 East Main St., Freehold. The deadline is 4:30 p.m. on Wednesday, May 1. Invitations to participate in the contest have been sent to all County school principals. Prizes will be awarded for the first, second and third place winners. Nine posters will also receive honorable mentions. Each of the twelve posters will be individually displayed at the Monmouth County Clerk’s Office. 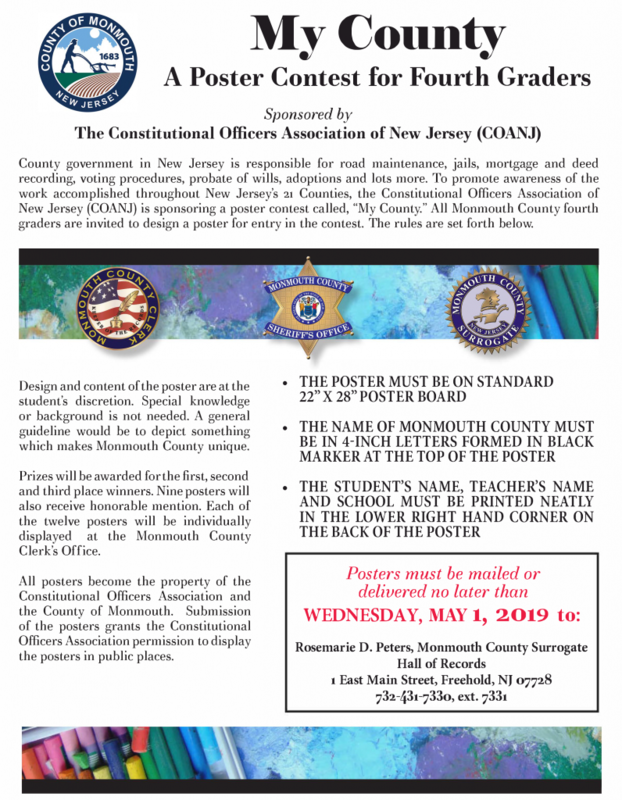 The poster contest is sponsored statewide by the Constitutional Officers Association of New Jersey. All posters become the property of the Constitutional Officers Association and the County of Monmouth. Selected posters may also appear on a published calendar. Submission of a poster grants the Constitutional Officers Association permission to display a poster in public places.